Ujigami shrine is the oldest standing shrine in Japan. this tranquil shrine, surrounded by trees, is located on the banks of the Uji-gawa river in Kyoto. The Hon-den (the main shrine building), which is designated as a National Treasure, enshrines the deity. 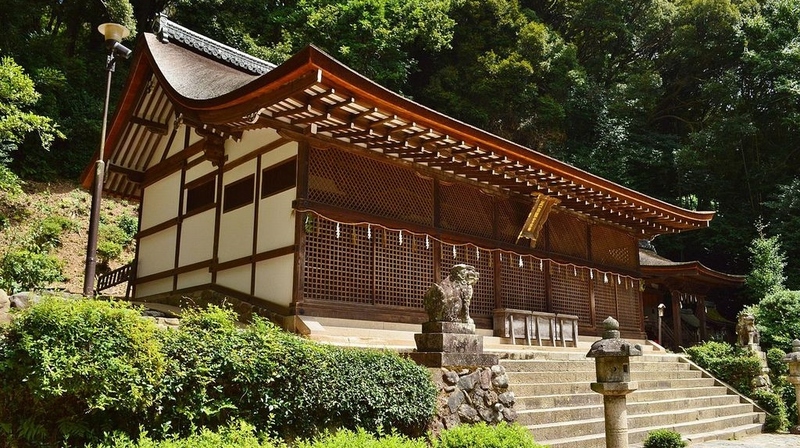 This ancient structure was built in the nagare-zukuri style (one of the most common shrine architecture styles: a curved asymmetrical roof extends out more on the side of the main entrance than on the opposite side to provide shelter for worshipers) during the first part of the 11th century. A hundred meters south of Ujigami Shrine stands Uji Shrine, also built in the nagare-zukuri style. The two shrines used to be one until they were separated during the Meiji Period (1868-1912). Ujigami Shrine used to be known as the upper shrine while Uji Shrine was the lower shrine.